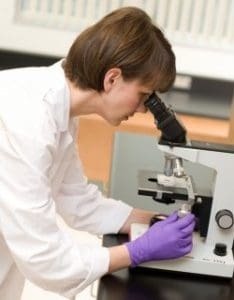 Lab Tests Online has been designed to help you, as a patient or family caregiver, to better understand the many clinical lab tests that are part of routine care as well as diagnosis and treatment of a broad range of conditions and diseases. Visit Lab Tests Online. This blood test provides the white blood cell count, red blood cell count, hemoglobin, platelet count and a differential. This test is commonly used to diagnose infections, anemia, fatigue, or bleeding problems. HDL Cholesterol (High Density Lipoprotein): This cholesterol is considered the “good” cholesterol. Patients with an HDL cholesterol of less than 35 mg/dl should consider dietary modifications, physical exercise, and other risk reduction activities. Diabetes Mellitus is a condition in which the patient cannot properly metabolize glucose (a type of sugar). The primary symptoms include abnormally high blood and urine glucose levels, an increase in urination, excessive thirst, constant hunger, and sudden weight loss. Diabetes is a risk factor for coronary heart disease and stroke. The prevalence of diabetes in the American population is estimated to be 6.6% or 16.5 million people. Of this number, only 50% are aware of their condition. Glycated hemoglobin (HBA1C) has assumed an important role in monitoring diabetic therapy and long-term blood sugar control. Synthesis of HBA1C occurs continuously in the red blood cell throughout it’s 120 day life span. It reflects the average blood sugar concentration over an extended period of time and remains unaffected by short-term fluctuations in blood sugar levels. It serves as a convenient test for evaluating the adequacy of diabetic control and in preventing various complications. These tests measure coagulation of the blood and are used to monitor the dosage of blood thinning drugs such as Coumadin and Heparin. A routine urinalysis is the physical, chemical and microscopic examination of the urine. It provides the closest thing to a full body biopsy through a simple laboratory test.